Everyone knows I’m into the pricey paints – but I almost never pay full price for them. $40/gallon? Not a chance. 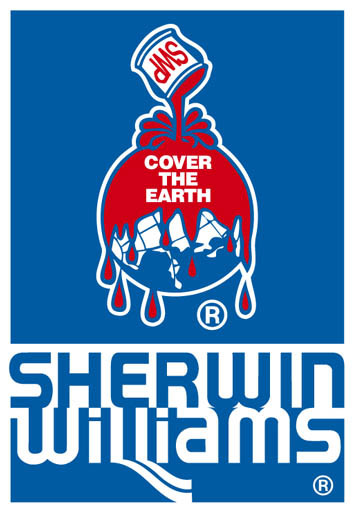 Here’s our secret – we opened a Sherwin Williams customer account a few years ago, which gets us 20% off every day. On top of that, they send plenty of coupons and sale flyers. I’m sharing the love today – print out this coupon for 30% off paints and stains, 20% off supplies, and 15% off the Duration line. I’d love to see a more in-depth article from a self-professed paint-snob like yourself on picking paint. What to look for, what to avoid, what features make a difference, and what is just marketing hype. I tend to go ‘dur, it all looks like paint’. And pick the cheap stuff ’cause, well, it all looks like paint! oh, girl, THANK YOU! the drywall and plaster people are leaving on tuesday and we start painting next wednesday. the painter said i will need 3 gal primer + 3 gal paint in every room + 10 gal of each in the hall….that’s *52* gallons. could your coupon come at a better time?! i think not. have a great weekend and thanks for the coupon! Also be sure to check out the great comments in that thread. As far as the WHY, for me it’s all about coverage and color. Cheaper paints take additional coats to cover, and their colors are often not as saturated. They can also be less durable. I used to use the cheapest paint I could find, typically $10 for a gallon, but having to coat something 3 times is a waste of time AND means you need way more paint. I think the extra investment pays for itself – less work and less paint cans to lug around. One “cheaper” brands I do love is Valspar. It is available at Lowes. It’s about $10 cheaper than a gallon of Sherwin Williams or Dutch Boy at full price. Natalie, thanks for the info on “Roof Belvederes”, I will have to check that out. Awesome major, I’m jealous :) Glad you could use the coupons! Good post. Fount the cheap painting tricks very informative.